15 minutes play...BumbleBeans Inc.: Sweet idea! I have been playing with lots of scraps. When I decided to set up a sewing room my blocks from playing have come in handy. I framed up two of them in inexpensive IKEA frames. I will also be able to change them seasonally. ~Kathryn A. 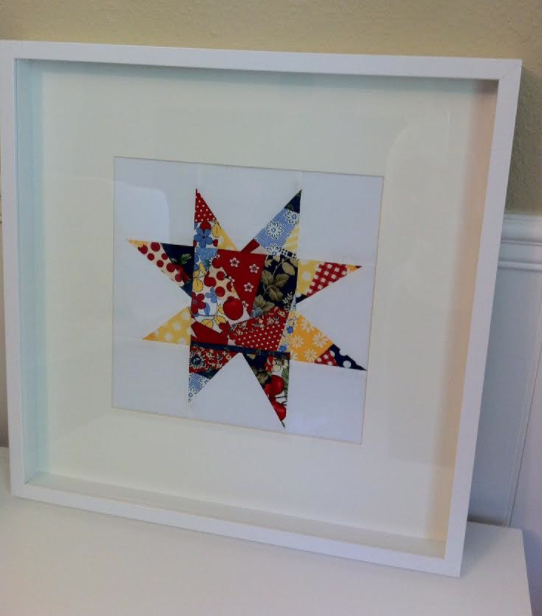 Great idea - I have had small pieces framed like this one in exhibitions and they're good birthday/Chistmas present. I do like your idea of changing the block with the seasons!